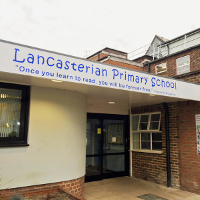 Tottenham based Lancasterian Primary School is focused on the delivery of a safe and welcoming learning environment, “where everyone is included and creativity is valued.” The school is persistently seeking new ways to enhance and improve its offer to the children and the local community. The school had an established high profile intruder alarm system on site and consulted with Amthal to create a maintenance programme that could operate with no disruption to learning timetables. Sam Judge, Lancasterian Primary School’s Assistant Site Manager said: “The security of our school is naturally a top priority, to ensure staff and pupils can work and learn in a safe environment. We see a careful balance to ensure our focus on creation of a welcoming and nurturing school for pupils and the local community is not overwhelmed. Mark Golding, Amthal Account Manager added: “Ensuring that pupils, buildings and equipment are protected requires an effective school building security alarm system for which users are fully trained, alarm systems that are regularly maintained and service inspections that are logged and documented.